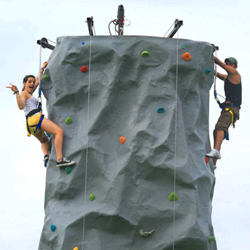 This portable climbing wall will make your next event a memorable one. 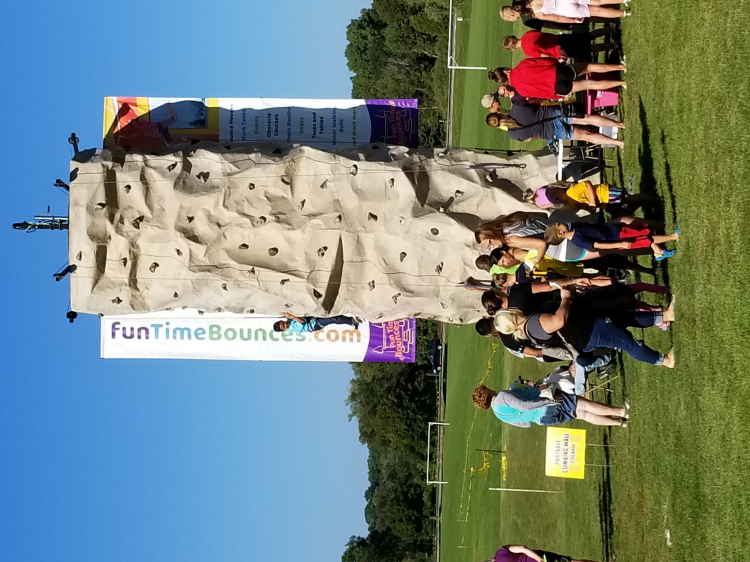 From corporate events, to private birthday parties, our mobile rock walls are always a hit! 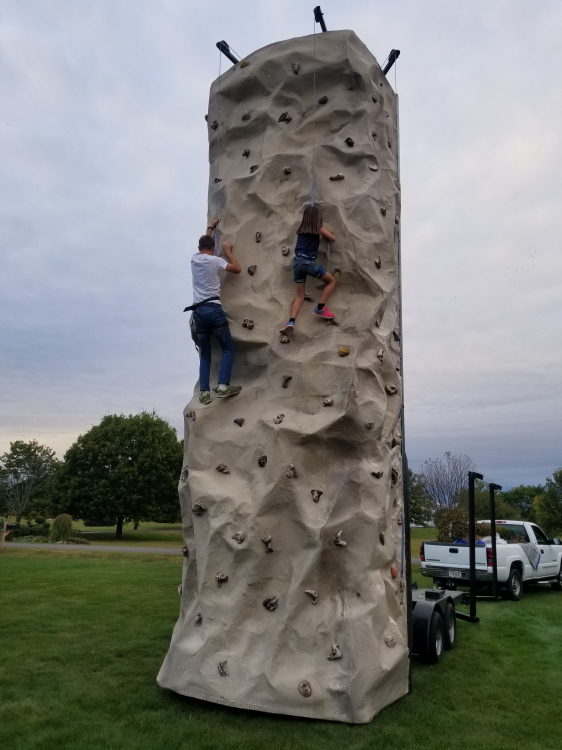 This 24 foot 4 person climber presents a rock wall that is both challenging, and makes a huge visual impact for any event. 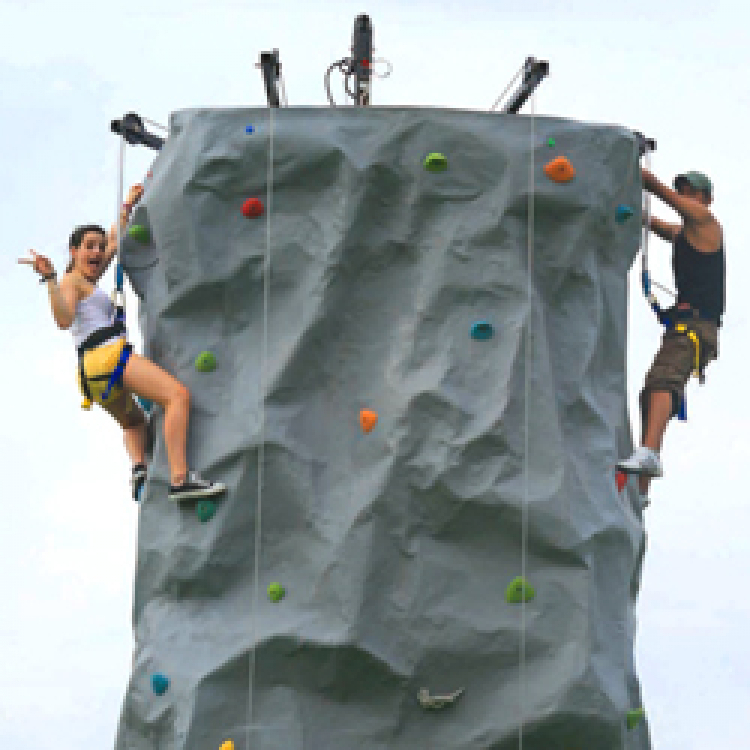 Lanes vary in difficulty, and provide climbing challenges that are ideal for kids or adults. Price: $1,075.00 per 7 / hrs. Price: $700.00 per 3 / hrs. Price: $700.00 per 4 / hrs.